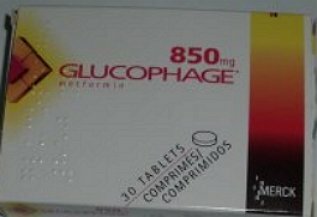 Restrictions for a Diabetic on Glucophage with no Health Problems? QUESTION: I am diabetic patient, just four years. I Use Glycophage 500 in the morning, before meal. I use sugar, but I didn't have any problem for my health or body. I didn't check sugar quantity. In general, the most important part of the diabetes management is the blood glucose control. This means that you have to check your blood glucose concentration every day in the morning and around two hours after having a lunch. The results of those tests will show you if your treatment is accurate or not and what else you should do about your diabetes, in purpose to beat it. However, it would be good for you to not wait until the things got worse, but to take your health in your own hands. So, you have to do some lifestyle changes, like following a diet, exercises and stress management measures. Regarding the diet, you have to avoid the sweet products, especially those, which contain sugar, like non-dietary cola, candy, chocolate and others. You can eat products, which contain artificial sweeteners, like dietary cola. Besides this, avoid the consumption of oily and fried products, because of their large cholesterol load. This is important, because patients with diabetes have cholesterol problems as well. My advice is to concentrate on salads, soups and not-red meats, like chicken and fish. Important part of the diabetic way of living is the physical activity. You have to run for about 30 minutes to 1 hour every single day. This type of physical activity will transform great part of the glucose in your blood in to energy, which will result with normal blood glucose concentration. Of course, you can always do some push-ups or something else, in purpose to keep your BMI and blood glucose within the reference ranges. Something else, which you can do about yourself, is to quit the bad habits, like smoking or drinking alcohol in excessive amounts. To tell the truth, I do not recommend my patients to drink alcohol, even in small amounts to avoid big problems that could come later. If you have busy daily round, you have to find a way to relax. I’m telling you this, because the stress has bad influence on the human body and it can lead to a lot of problems. So, try to find a way to beat it. I see that you are not having any health problems yet and I’m happy for you. However, every diabetic, who is not taking care of himself, is having severe health problems in the future. 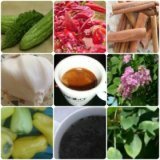 Following such simple steps is the best thing you can do in purpose to reduce the risk of developing some or more of the diabetic complications.